Okay, so the timing might be off, but the January transfer window saw three new Brits up sticks and follow in Jadon Sancho's footsteps by moving to Germany. Every week, 90min will provide a run down of every British player currently on the books with teams in Germany's top two divisions and how they performed that week - dissecting what they did well, where they went wrong, and exactly why these young British stars are making the Bundesliga the best league in the world. But before we can asses their performance, we've first got to establish just which players are going to be featured from now until the end of the season. So along with the odd German word (and it's meaning) to boost your Bundesliga vocabulary, here's a closer look at the eight British stars who will be in the spotlight in this new weekly feature. Former Tottenham Hostspur winger Keanan Bennetts might be the least well known player on this list, but he arguably benefited from Jadon Sancho's high-profile move to Germany more than anyone else. 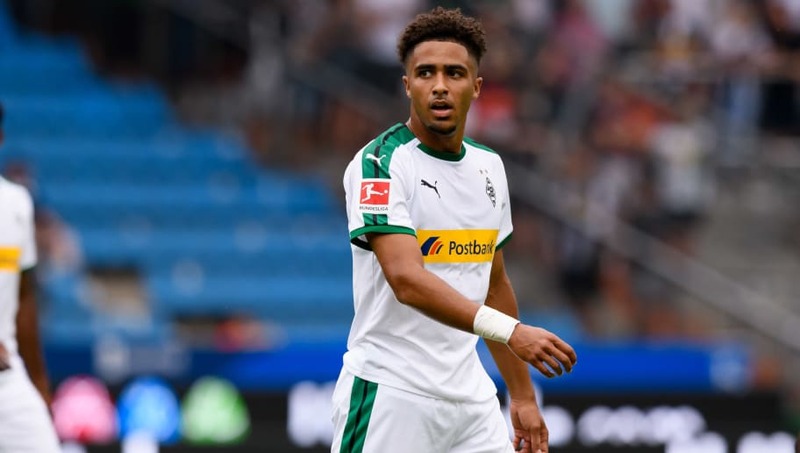 The England Under-19 international joined Borussia Mönchengladbach one year after Sancho swapped Manchester City for the Bundesliga's other Borussia side, but so far Bennetts has had to be patient for opportunities. The teenager has made a handful of appearances with the second team in the Regionalliga West (a semi-professional league) but injuries have stunted his chances of a call up to Dieter Hecking's first team. Born in Munich but with international allegiances to Nigeria and England, 21-year-old Chima Okoroji has already made the step up to senior first team football. 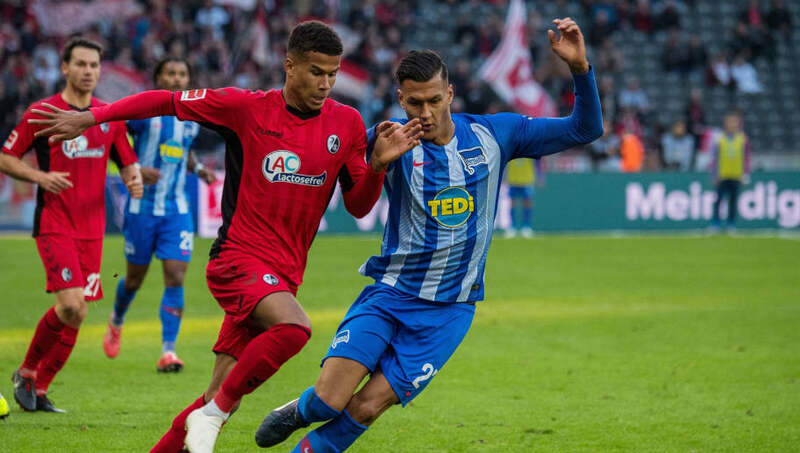 Okoroji, a former Bayern Munich youth player, made his Bundesliga debut with SC Freiburg earlier this season against Hertha BSC - a team who at the time were flying high at the top of the league table. 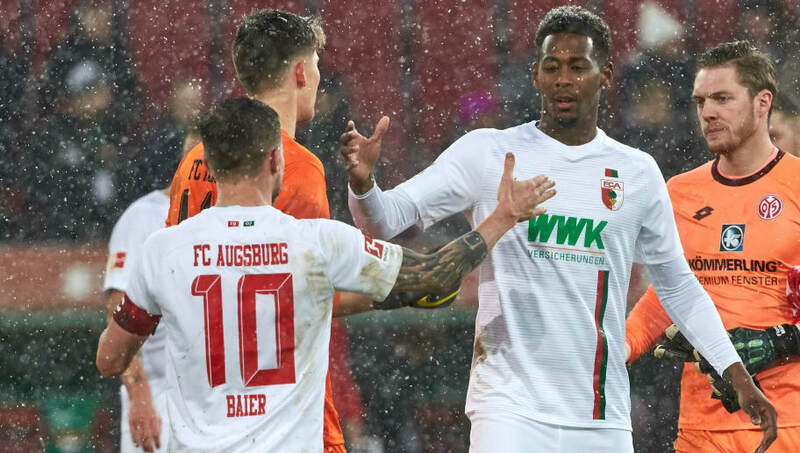 Naturally a left back, Okoroji came off the bench to replace Hungarian winger Roland Sallai for the final 20 minutes during Freiburg's 1-1 draw with Die Breisgauer. He's been an unused substitute five more times in the league and cup for manager Christian Streich. Finally, a name that some of you might recognise. Although Reece Oxford first broke onto the scene with West Ham, it wasn't until a loan spell with Borussia Mönchengladbach during the 2017/18 season that his stock in European football became what it is today. He only ever made eight appearances for the Foals, but they gave Oxford their seal of approval and that's proved to be enough to convince FC Augsburg of bringing the Verteidiger (defender) to Bavaria during the most recent January transfer window. He's lacking game time and confidence, but Oxford could prove to be the difference between relegation and Bundesliga survival this season for Manuel Baum's side. The latest British addition to the Bundesliga family is another former Manchester City player, Rabbi Matondo. But rather than another England international moving to Germany - Matondo was born in Liverpool - the Bundesliga has actually adopted a fully-fledged Wales international, with the 18-year-old becoming just the fourth Welshman to ever play in the Bundesliga. 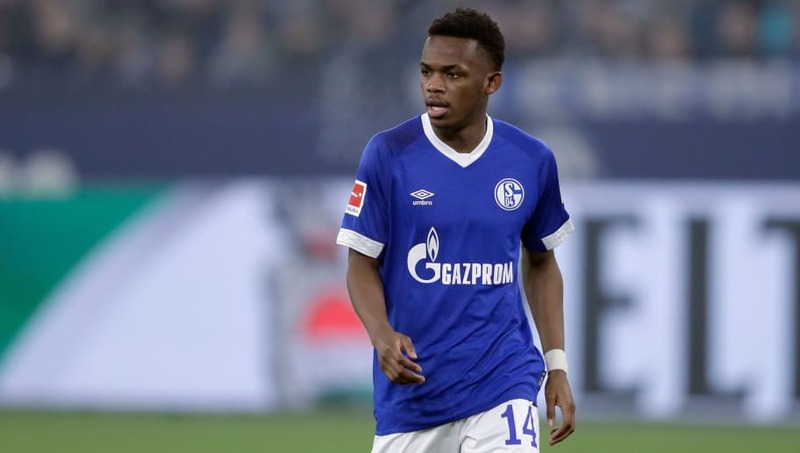 Matondo has already made his senior debut for Schalke 04 and he even started in their DFB-Pokal win over Fortuna Düsseldorf, although he's yet to register his first goal or assist. It was an easy decision for Emile Smith Rowe to join RB Leipzig on loan for the remainder of the season, even if he was getting plenty if game time back with parent club Arsenal. 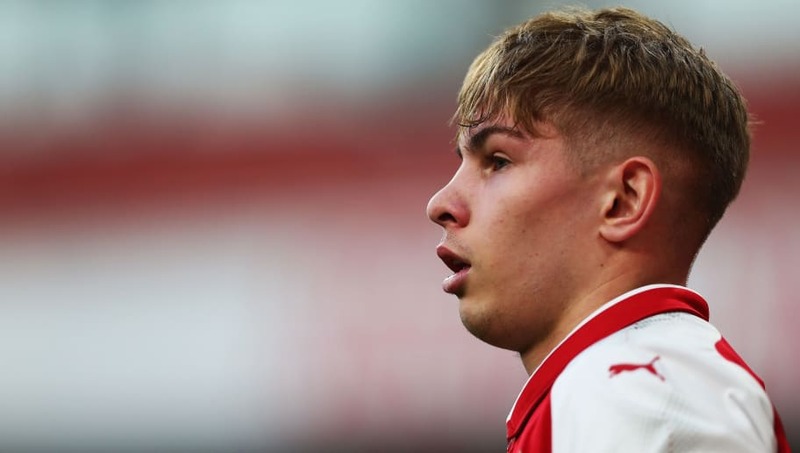 Smith Rowe has spent the majority of his time in the youth ranks as a Zehner (an attacking midfielder who plays in the "No. 10" position just behind a striker) but he's stepped up to become a winger in Arsenal's first team. The 18-year-old is following in the footsteps of former loanee Ademola Lookman, who lost his tag of "that guy who scored on his debut against Manchester City" and truly announced himself as a Champions League quality player. On top of seeing an Arsenal teammate cause havoc already this season on loan in south west Germany, Smith Rowe will be walking into a side who love to attack their opposition with pace, something which is perfectly suited to the teenager. It had been over eight years since a Scottish player made their debut in the 2. 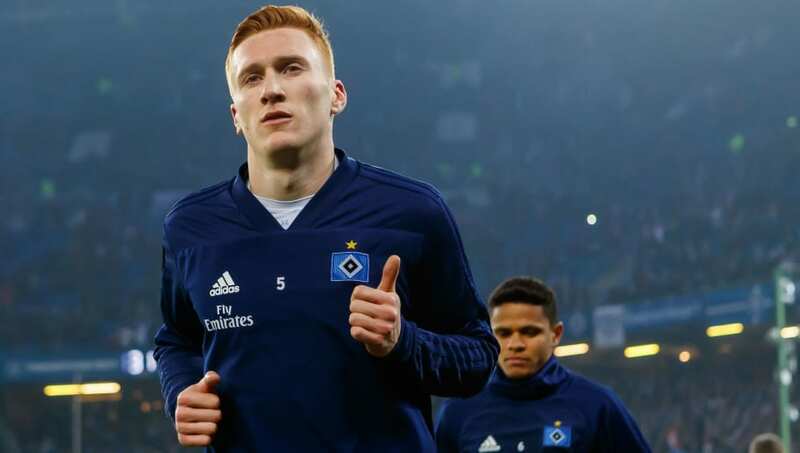 Bundesliga before former Rangers defender David Bates stepped out onto the pitch for the very first time during a Hamburg's opening day defeat to Holstein Kiel. Since then, manager Hannes Wolf's tough tackling defender Bates has made 18 more appearances following a free transfer to the Volksparkstadion. The Scotland international's career in Germany has only just kicked off, but there are already high hopes that alongside Rick van Drongelen, Bates can provide a platform for Hamburg to propell themselves back where they belong in the top flight. As a childhood friend of Jadon Sancho, it wasn't really any surprise at all to see Reiss Nelson move to the Bundesliga on loan at the start of the season. But some heads were turned that the highly-rated Arsenal star was joining TSG Hoffenheim. After all, Hoffenheim is just a village. And that village is in a town of just 25,000 people, which is less that the football club's Rhein-Neckar-Arena at full capacity. As The Telegraph's Luke Edwards puts it, it's like imagining Chorley having aspirations of being a Champions League club. Of course, TSG Hoffenheim have found ways around that problem - they were known as Germany's most hated football club before RB Leipzig came along - but Nelson's worked himself into a perfect setup in Sinsheim. 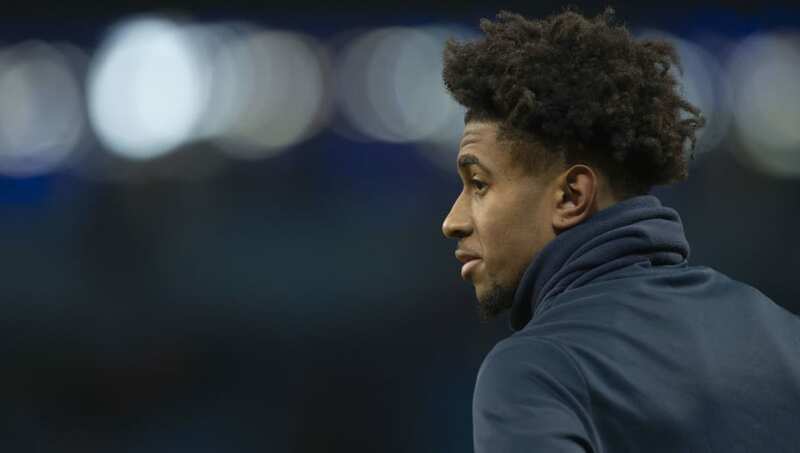 With Hoffenheim, Nelson is being given the chance to play quick, attacking football with freedom while also being drilled in tactical awareness by one of the most coveted managers on the planet. 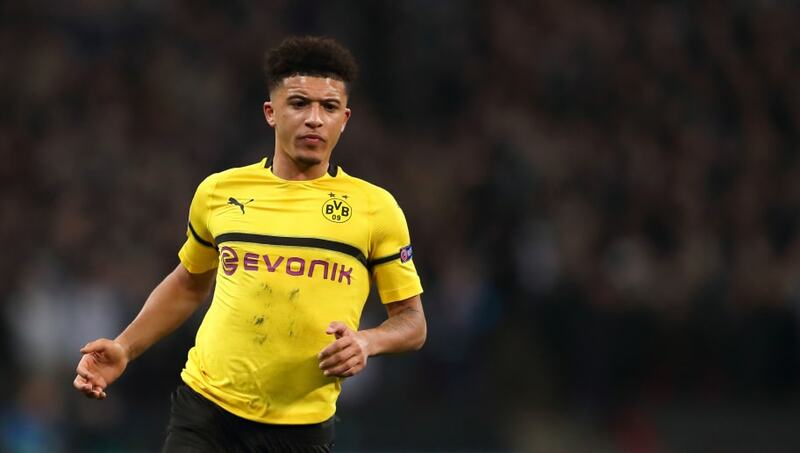 Jadon Sancho is patient zero when it comes to young British players looking for moves to the continent these days, and it's a trend which, although he didn't start, he will be remembered as the pioneer for in years to come. He doesn't need any introduction as a footballer - I'm sure all of our social media feeds have been inundated with enough highlights to last us a life time - but make no mistake about it, it isn't hype at all, Sancho really is the best young English player around right now. His career at Borussia Dortmund is only just kicking off too. 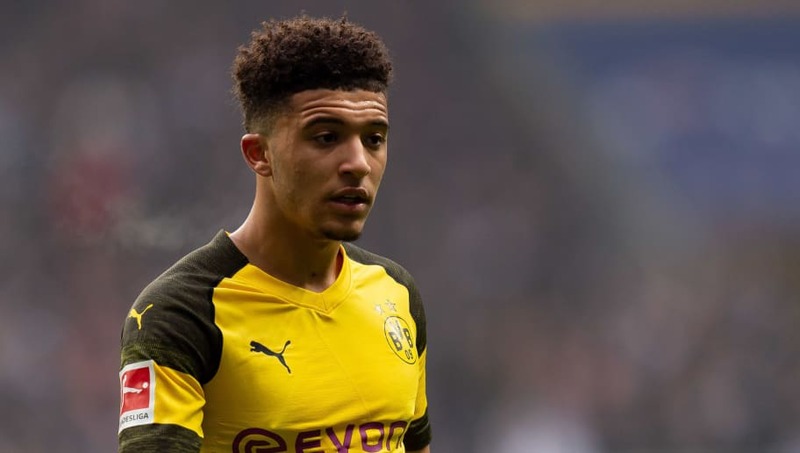 For all the rumours of a big money move back to the Premier League, Sancho looks certain to stay in Black and Yellow at least until after Euro 2020, and it'll take some doing to knock him off top spot in the weekly feature.